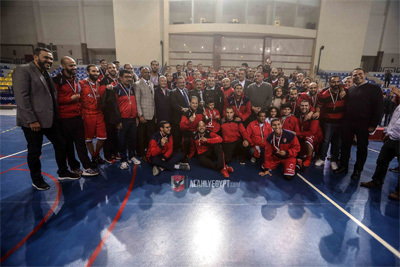 El Ahly won Egyptian Basketball Premier League 2017/2018 beating El Gezira in the Final series. In the last game they posted a 67-63 win. El Ahly led 32-29 at the halftime and then 51-45 with 10 minutes to go. On January 5th Al Gezira posted a narrow 82-81 win. 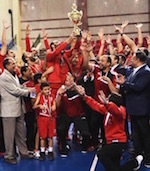 In what should be considered an upset, Al-Ahly won their ninth Egypt Cup while also denying Sporting their sixth straight title in the competition. Both teams fought hard to win the title and coincidentally had the identical scoreline in the semi-finals. Al Ahly beat Smouha 71-69 (despite trailing at halftime), while Sporting beat Zamalek with the same scoreline in their own respective semi-final. Despite being the heavy favorites to win the game, Sporting found themselves trailing after the first quarter, with a scoreline of 22-13. Sporting had a breathtaking run in the second quarter, with their defense holding Al-Ahly to 14 points in the period while scoring 24 of their own. The game didn't let up in the second half with both teams finishing the third quarter tied at 51 points, with the Egypt Cup in the balance, both teams fought hard until the last possession, but it was Al Ahly who grinded out a win with a final scoreline of 72-69. The title is Al Ahly's first since 2011 and ninth in total. They are the third most successful club in the competition's history after Ittihad of Alexandria and Zamalek, who won it on 12 occasions. On the other hand, Smouha defeated Zamalek to achieve the third place in the competition.